The Fulbright Program for U.S. Students is designed to increase mutual understanding between the people of the United States and the people of other countries. For graduating seniors and recent graduates, the Fulbright Program offers the opportunity to research or teach abroad for one year. It is the largest U.S. international exchange program offering opportunities to undertake international graduate study, advanced research, and teaching in elementary and secondary schools worldwide. It supports approximately 1,700 U.S. citizens through the U.S. Student program. Full grants are offered by the Fulbright Program for U.S. Students to U.S. recent bachelor's graduates, master's and doctoral students, young professionals and artists for study and research abroad, and will cover round-trip transportation to the host country, living costs for the duration abroad, books, research allowance, and, in most cases, full or partial tuition. The Fulbright English Teaching Assistantships Program (ETA), an element of the Fulbright Program for U.S. Students, is designed to improve foreign students' English language abilities and knowledge of the United States. Participants are placed outside of capital cities in many countries around the world and are fully integrated into the host community, increasing their own language skills and knowledge of the host country. English Teaching Assistants may also pursue individual study/research plans in addition to their teaching responsibilities. Recipients of an English Teaching Assistantship receive the same kinds of funding as awarded for full grants. Nomination by Luther College is required. If interested, contact Elizabeth Steding, Director of Student Honors and Fellowships, for more information on applying. Luther's internal deadline is early in September. All materials, including references and transcripts, must be uploaded to the Fulbright application site by the internal deadline. For more information, visit the Institute of International Education. Luther College has produced many Fulbright scholars over the years, even being named one of the top producers of Fulbright recipients in the country. Get to know our scholars from past years! 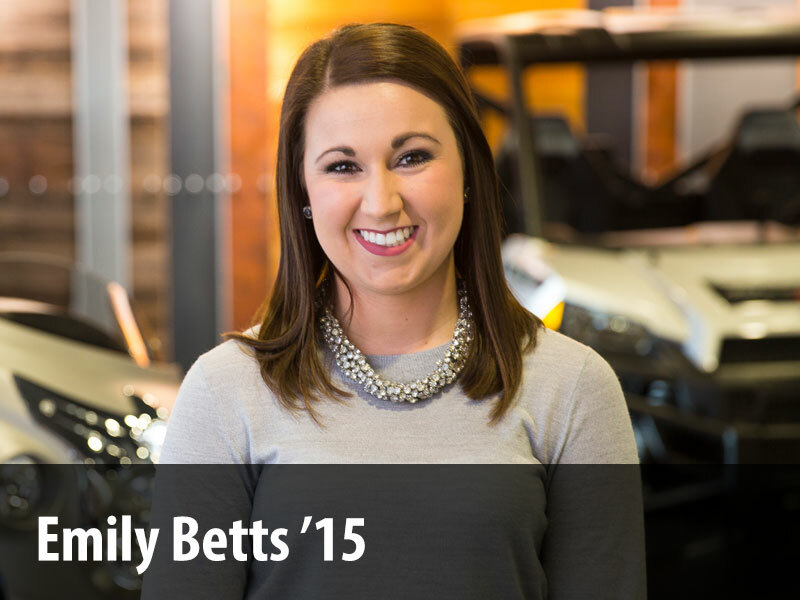 Ashley Heffernen, a 2015 graduate from Cedar Rapids, Iowa, was a Spanish major at Luther. As a recipient of the prestigious Fulbright Award, she traveled to Pachuca, Hidalgo, México in August 2015. During Ashley's first semester she worked in a variety of schools, ages high school through university, assisting teachers/professors and organizing conversation hours where any and all students were free to come. During her second semester, Ashley was assigned to an Art Institute in Real del Monte because of her background in music. She still assists professors and has daily conversation hours, but at this institute she is able to focus the English teaching on the specific vocabularies of the students' majors. Ashley is still in Pachuca, as she has about a month and a half left of work. She plans to stay in Mexico until her visa ends (mid August 2016) to travel some more and spend more time with the friends she has made in Pachuca and Real del Monte. Kirsten Jacobson graduated in 2012 with degrees in history and French. As a recipient of a Fulbright English Teaching Assistantship, Kirsten traveled to Vietnam to pursue her passion for intercultural education, and engage in further study in international relations and cultural exchange. Kimberly Rooney is a 2014 graduate who studied Africana studies and French. While at Luther, Kimberly began research on Senegalese educational organizations and philosophies, and she intends to continue this research while working as a Fulbright English Teaching Assistant in Senegal. 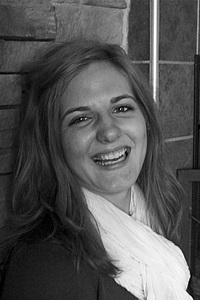 Rebecca Rudquist graduated in 2014 with a degree in English education. During her time as a Fulbright English Teaching Assistant in Malaysia, Rebecca spent ten months at a local Muslim Malay school in the small town of Pasir Puteh, Kelantan--about an hour away from the east coast border with Thailand. She taught English as a Foreign Language to 12-17 year olds while connecting English learning to a variety of other topics, including American culture, sustainability, and building confidence. Most of Rebecca's time was spent on a variety of other activities: sports clubs, speaking workshops, and English camps. Her 'baby' for the year was pioneering and collaboratively constructing an English 'Giving Room,' which is a multi-space 21st century classroom where students can enjoy a stage and sound system in one end and over 85 English books and cozy bean bags on the other. Because of the high number of Malaysian national holidays, Rebecca also had the unique opportunity of traveling around the region to Myanmar, Thailand, Cambodia, Singapore, Indonesia, Vietnam, New Zealand, Australia, and diverse areas of Malaysia itself. Having been back in Minnesota for several months, Rebecca is happy to be home but is also frustrated and saddened by many Americans' fear and hatred toward Muslims. In response, she is creating an interfaith dialogue and sharing piece to bring conversations into area churches. In other news, Rebecca is enjoying involving herself in the beautiful Winona community by substitute teaching, coaching volleyball, teaching yoga, and dreaming about what's next! Madeline Kofoed graduated from Luther in 2014 with majors in Biology and Spanish. After graduating, Maddy worked as an English Teaching Assistant in Villa Maria, Argentina. Having spent a semester abroad in Valparaiso, Chile in 2013, she developed an interest in the rich cultural makeup and complex social history of the southern cone of the Americas. As an ETA in Argentina, Maddy worked as a teaching assistant at La Universidad Nacional de Villa Maria in the Cordoba province of Argentina - an agricultural province that produces much of the country's soybeans and corn. During her grant, she gave a series of community workshops entitled "Searching for Justice and Equality in the 21st Century United States." Maddy also designed and taught a podcasting course to university students and faculty in which participants were introduced to prominent American podcasts such as This American Life and Serial, discussed the didactic potential of podcasts in linguistic and cultural learning, and made a group podcast as a final project. Maddy was delighted to get involved in Folk and Tango community dance classes in Villa Maria, and she developed a respect for and obsession with the Argentine "asado" (barbecue). 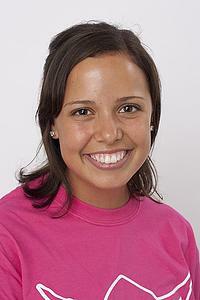 Laura Harney, from Rochester, Minnesota, was a Spanish and biology major at Luther. She is serving as an English Teaching Assistant in Ecuador. Harney chose to teach in order to connect with students through open dialogue and discovery. While she believes mutual respect between teacher and student is essential, she also believes it is the teacher's duty to encourage students to think critically and question the world around them. During her time at Luther, she spent five months studying abroad in Cuenca, Ecuador, and volunteered at Insituto Piloto, a grade school for children with disabilities. She hopes to continue volunteering with such children as well as compile the personal philosophies of her fellow educators. 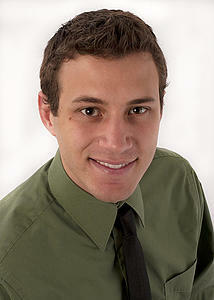 Matt Lind, from Wausau, Wisconsin, was an international studies and political science major at Luther. He is serving as an English Teaching Assistant in Turkey. Lind was drawn to Turkey by his fascination with its culture and admiration for the country's secular model of government. He hopes his previous instructional experience helps him develop a teaching style capable of keeping both student and teacher actively engaged in the subject matter. Once he returns from Turkey, Lind plans to study law and eventually pursue a career in international law. He hopes to use his experience abroad to establish mutually beneficial international relationships and help build an environment that celebrates both commonalities and differences between nations. 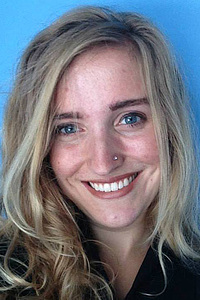 Rachel Barclay, a 2011 Luther graduate from Sparta, Wisconsin, received a Fulbright research scholarship for the 2012-13 year. After serving an internship with the Provenance Research Initiative at the Smithsonian Institution in Washington, D.C., Barclay went to Munich to conduct research with scholars at the Central Institute for Art History in Munich. Together, they led German efforts to establish provenance (ownership history) of art objects that changed ownership under suspicious circumstances or were subject to unlawful appropriation under National Socialism between 1933-45. 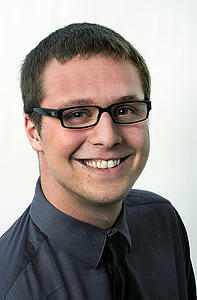 Barclay was a history major at Luther with minors in German and museum studies. She was awarded a Fulbright to support her graduate studies in art history. 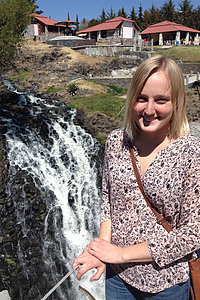 Bianca Lutchen, a 2012 graduate of Luther from Northfield, Minnesota, was awarded the Fulbright English Teaching Assistantship in Germany for 2012-2013. She majored in political science and German with a minor in sociology. Her connection with Germany started before her Luther career, during her time as a high school exchange student with the Congress-Bundestag Youth Exchanges, when she mentored kindergarten and elementary German students. Her love for teaching and German continued at Luther as she served as a German language tutor for American students. Along with the teaching portion of the assistantship, Lutchen’s time in Germany with Fulbright supported her research interests in exploring the ramifications for national identity that resulted from the reunification of the former East and West Germany. Her teaching experience was at the Rudolf-Koch-Schule in Offenbach, Germany. 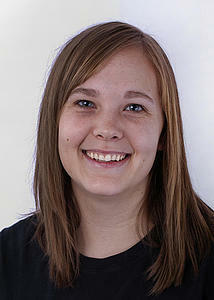 Lauren Griffin, a 2012 Luther graduate from Plymouth, Minnesota, is the daughter of Phil and Ellen Griffin of Plymouth. 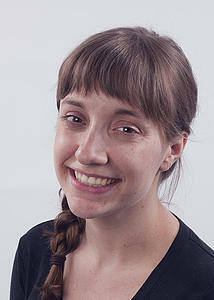 She was awarded a Fulbright English Teaching Assistantship for the 2012-2013 academic year. Griffin's placement was at the University of Donja Gorica in Podgorica, Montenegro. She hopes to also volunteer with a local nonprofit focused on peace building and reconciliation. At Luther, Griffin practiced and improved her teaching skills through classes and an internship within the education department. She also served as an English language and writing tutor. Sean Anderson, a political science and Spanish major from New Ulm, Minnesota, received a Fulbright award to serve as English Teaching Assistant in Colombia for the 2011-2012 academic year. 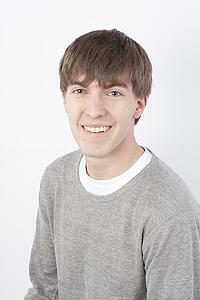 Tyler Dryg, a history major from Bettendorf, Iowa, received a Fulbright foreign scholarship research award. 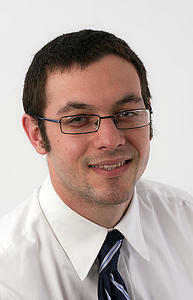 He used the award to conduct research on late medieval history in Germany. James Feinstein, a political science and anthropology major from Sioux Falls, South Dakota, received a Fulbright award to serve as an English Teaching Assistant in Thailand for the 2011-2012 academic year.